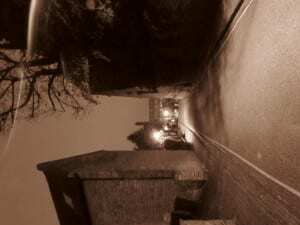 There are said to be many ghosts that haunt Greestone Stairs. One, said to be from the convent of Saint Joseph’s, can be seen carrying a baby in her arms. She walks from the entrance of the convent, over the pathway and into what it is now a flower bed and the lays the baby down. Some believe that the baby is dead, and she is laying it to rest. Approximately one quarter of the way up the stairs, there is a stone archway which stretches over the path. 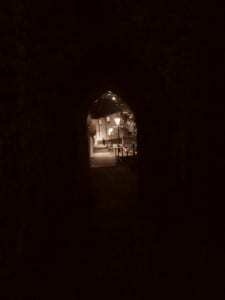 People have reported orbs of light and noises coming from underneath the archway, as well as some of their electrical devices turning themselves off. Pictures taken of this area have also been distorted, or have shown specks of light covering the screen. Half way up the stairs stands a crooked lamppost. Seen regularly stood underneath it is a cleric, wearing a hat and a long coat. Believed to have hung himself on the lamppost he stands under, the cleric has never frightened anybody who has seen him; it is said that he is there to protect and guide weary travellers who are on their way up the stairs to the Cathedral. The final ghost story on Greestone Stairs is that of Saint Hughes head. After Saint Hughes death, he was announced as a saint. His body was cut up and sent to cathedrals around the world, but his head stayed in a chest in Lincoln Cathedral, on a bed of gold and gems. The news spread fast and caught a lot of attention. People flocked to Lincoln to be with the new Saint. However, not everyone went with good intentions. Late one evening, two thieves entered the cathedral and hid inside, waiting for everyone to leave. Finally when the Cathedral emptied, the thieves took the chest with Saint Hughes head inside. They broke out of the Cathedral and headed down Greestone Stairs to make their escape. It was on the way down that one of them tripped, and dropped the chest, spilling the gold and gems everywhere, as well as letting Saint Hughes head roll down the hill. The thieves were later caught, and Saint Hughes head was returned to the Cathedral. However, it is said that those heading down Greestone Stairs from the Cathedral need to be careful; many before them have heard Saint Hughes head rolling behind them, and felt it hit the back of their legs, forcing them to the floor. I have used the Greestone stairs many times both in the day time and at night, and have never come across Saint Hughes rolling head, the Cleric by the lamppost or the nurse with the baby. However, whilst on the Lincoln ghost walk, I was assured that our tour guide had seen the nurse himself, and confessed that he was slightly shocked after seeing her. After dark, the stairs themselves become very atmospheric with the only light coming from old lampposts that barely light the narrow path. It is easy to see how some people may think that they see things on the stairs-the shadows cast by the buildings that line the pathway are dark and deep, and the light cast from the few lampposts is dim and weak. 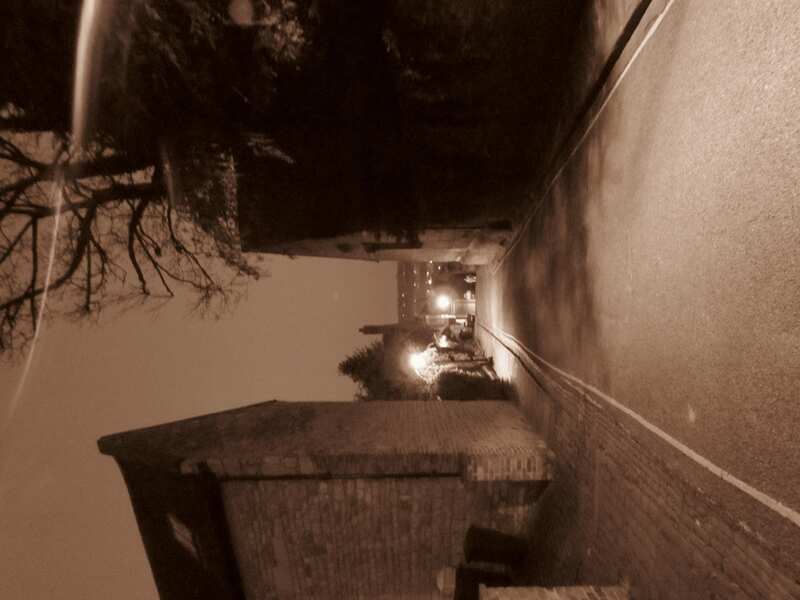 The archway that goes over the pathway a quarter of the way up is said to be the most haunted place in Lincoln. 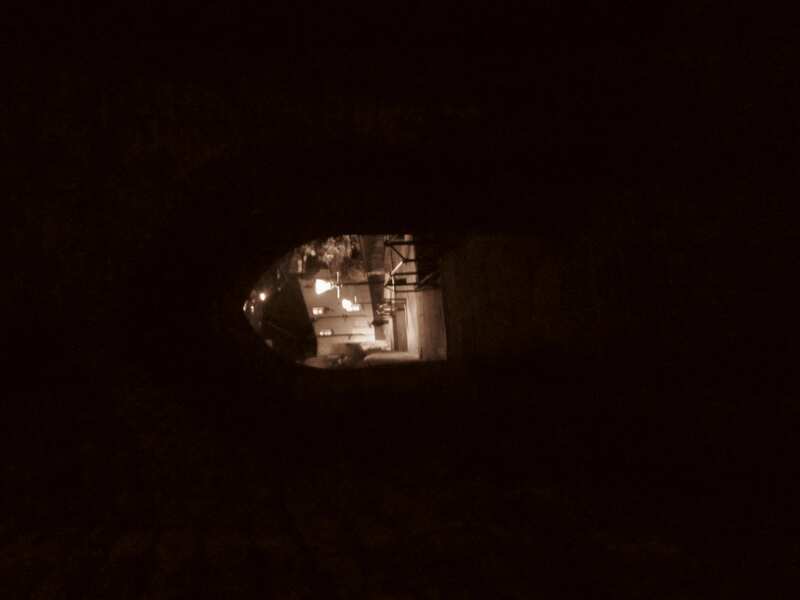 It certainly feels that way; the darkness inside it is incredible considering the archway itself isn’t very long. The cold inside is also surprising; there is definitely something odd about the way the temperature drops so recognisably as you pass through. Greestone Stairs has many buildings that stand just off it. However, the most interesting is Providence House, which was occupied by the Sisters of Providence, a religious congregation founded in France in 1806. The Sisters of Providence aimed to help communities through what they viewed as ‘god’s instruction’. In 1901, the Sisters of Providence were invited to Woodhall Spa to start a house in the parish. A year later, two of the sisters joined other newly arrived sisters in Lincoln, and took on the premises on Greestone Stairs. By 1905, the community had grown to eight sisters, and their growing number of pupils forced them to move further up the hill into Saint Joseph’s School in 1911. Over the years, the pupils from the school also became sisters, and many ended up teaching Religious Education to children in air force camps. The school itself continued to grow, and the Sisters of Providence took over several buildings close by to provide new classrooms. The convent was open to children of all faiths, and made a huge impact on the local community. However in 1983 the Sisters had to leave the school due to a sharp decline in the number of pupils they had coming to the school. Saint Joseph’s School was then run for ten years by a trust organized by the Parent’s Association, but some of the sisters still stayed on as teachers and members of the trust. The building is now used as part of the Minster School.